Are you satisfied with your current ELD solution? 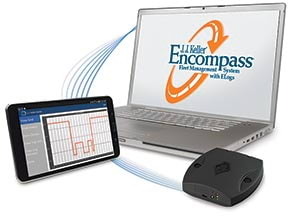 If you're thinking of switching providers or want to learn about other ELD options, J. J. Keller’s compliance specialists are here to help. "The J. J. Keller product is designed with trucking in mind first." "Listening to the customer's needs and striving to meet those needs is probably the best aspect of Keller." Don’t stay stuck – fill out the form and an ELD Specialist will contact you for a personalized ELog quote, no obligation.